In the last few years, Disney has been releasing new iterations of their fairy tales through the medium of live-action as opposed to their original animation form. What is also interesting to note is that a lot of these films are in fact ‘remakes’ or ‘re-workings’ of classic films we already know and love. For example, 2015 saw Cinderella be remade into a live-action film, starring Lily James and Richard Madden as the title character and her Prince Charming. 2016 has also seen The Jungle Book be remade with complete CGI (excepting Mowgli), as well as the somewhat forgotten remake of Pete’s Dragon. Of course, the main remake the majority of us are looking forward to is Beauty and the Beast, starring Emma Watson as Belle, accompanied by the voices of Emma Thompson and Ian McKellen as Mrs Potts and Cogsworth, respectively. But why are Disney suddenly going through a ‘remake’ era? One of the societal reason that I think explains why this is becoming the norm, is that we are living in a nostalgic culture. The children who grew up in the Disney Renaissance era of the 1990s (which included films such as Beauty and the Beast and The Little Mermaid) are now in their twenties and avid users of social media, which focuses upon ‘throwbacks’ and revelling in the ‘simpler times’ of the past. What’s more, it has now become common to admit to liking things seen typically for the child: dungarees, glitter jelly-shoes, and Disney itself are cool and mainstream. Who wouldn’t want to go to the cinema to watch a Disney film and pretend to be five again? Looking at the films Disney have recently released, it appears that there are two main categories that the live-action remakes fall into. These are the films which are either “reinterpreted” or “retold”, which may sound the same, but do have a difference, trust me. 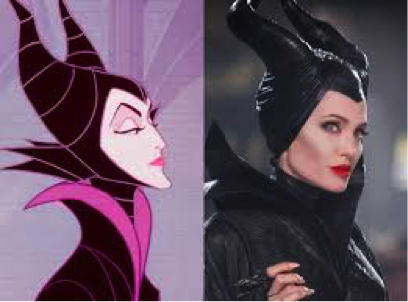 Films that fall into the “reinterpret” category are films such as 2014’s Maleficent, which told the story of Sleeping Beauty (1959) from the perspective of the evil fairy, Maleficent (Angelina Jolie). This style of film fits into the broader trend of wanting to see stories from the perspective of the antagonist, with a prime example being the 2003 musical Wicked. Based on a series of books by Gregory Maguire, the musical which not only retells The Wizard of Oz from the Wicked Witch’s point of view, but also serves as a prequel. This decision for Disney to reinterpret their classic films and show the story with the antagonist as the protagonist perhaps shows their want to educate children not to see people in concrete terms of ‘good’ or ‘evil’, but as a shade in between, and instil a sense of empathy and questioning within them. The second category these live action films fall into is that they are made to ‘retell’. This is when the basic plot stays the same, but it is now told through real actors rather than voices and animation. The purpose to retell is to allow children of this new generation to experience these stories in a new way, as well as to right what may be considered incorrect by society now. For instance, in Cinderella (2015), she and the Prince meet more than once, thereby establishing more of a foundation for a relationship (“You can’t marry a man you just met” says Elsa in the back of my mind). Additionally, in the upcoming Beauty and the Beast film, Belle is supposedly more hands-on in helping her father with his business, and according to several articles, has more of a ‘feminist’ story line. Many of the classic Disney films perpetuate stereotypes and ideals, especially for women, which do not apply now, so are subject to zeitgeist. Therefore, it’s great to be adapting and moving the story forward in this way to teach a new generation of watchers better morals. However, although the remakes are intended for a new generation, there is of course the inevitable intertextuality surrounding them, suggesting that in order to enjoy them fully, you need to have seen the source material. 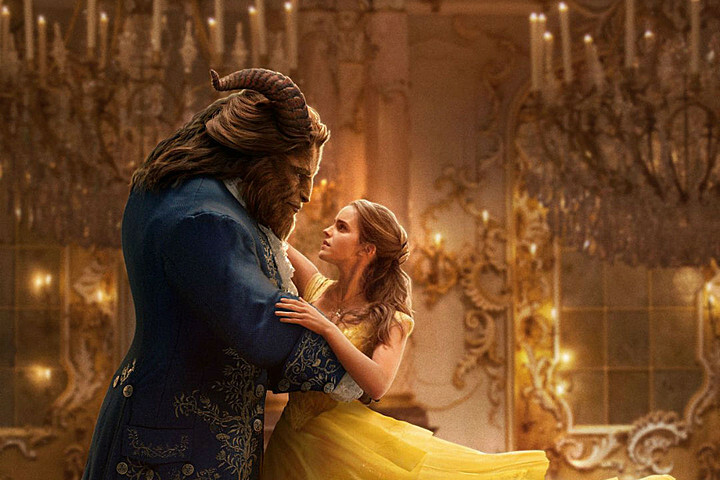 For instance, look at the trailer for 2017’s Beauty and the Beast below. Many have noted that this trailer is almost identical to the original 1991 film, evoking that sense of nostalgia. Additionally, the tagline ‘Be Our Guest’ has been used to market the film – it’s even the Twitter handle of the official movie account – despite sounding inviting, would mean nothing to you had you not seen the original film and know the iconic song. Disney is, of course, still making animated films – and original ones at that. Moana has recently exploded into cinemas, and Gigantic, a film based upon the folk tale ‘Jack and the Beanstalk’ is set to be released in 2018. So, whatever mode of storytelling you prefer your fairy tales to be in, Disney is still making something for you. It can’t help but be noted, though, that some of the new animated fairy tales haven’t had the reception that a lot of the Renaissance films did, for instance The Princess and the Frog (2009). Frozen is an outright exception. Maybe the reason the classics are getting the live-action treatment is because they will undoubtedly be successful because of their notoriety? Box office gain is of course a massive factor when a company chooses what films to make. The Jungle Book (2016) was a ‘surprise hit’ and earnt 5 times more at the box office than its budget of $175 million. It did come behind Disney’s new animation Zootopia (marketed in the UK as Zootropolis), which is interesting to bear in mind. Both of these films were praised highly by audiences and critics alike. On the other end of the scale, Tim Burton and Disney’s collaboration of Alice in Wonderland (2010) is reportedly the 24th-highest-grossing-film worldwide, yet the critics were completely divided. Its 2016 sequel Through the Looking Glass, however, underperformed financially at the box office, and widely received negative reviews. This suggests that no matter what the level of nostalgia may go along with a film, it doesn’t necessarily make it ‘good’. Whatever we may think of Disney’s live-action rebrands and remakes of its classic animated films, they certainly catch our eye, keep our interest, and trend on social media. And, there are plenty more planned. Following Beauty and the Beast in March 2017, Mulan is set for release in 2018, and there are rumours there will be Snow White, The Lion King, and Aladdin live-action films, too.